This surgery is not by choice as it was a repair job. Dr. Von Maur, is without a doubt, an artist! His attention to details not to mention the care he puts into his patients are like no other Doctor I have ever been to before. I’m beyond pleased with my results and will only see Dr. 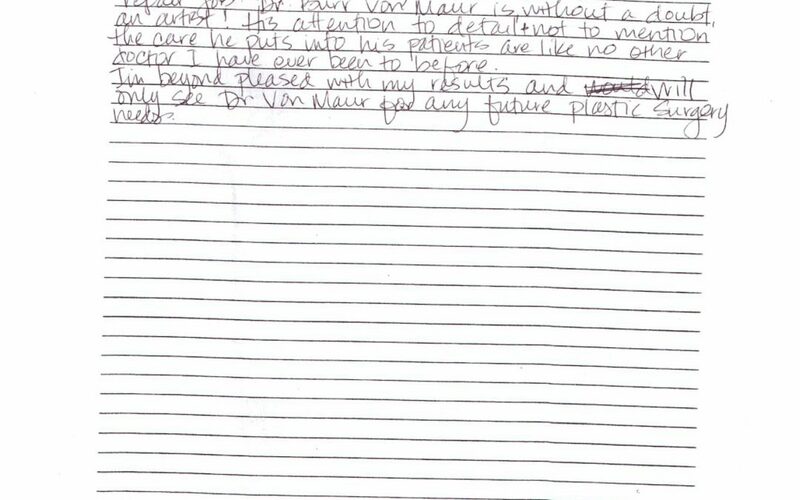 Von Maur for any future plastic surgery needs.